"I was only getting footage of your tackle"
Apple's new video iPod Nano has been banned from changing rooms by a major gym chain – who fear that voyeurs will seek to snap surreptitious footage of people changing. 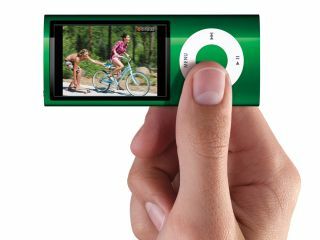 The Apple iPod Nano 5G has immediately garnered huge amounts of attention, bringing portable video taking capability to the masses. Now obviously this brings with it some rather unsavoury scenarios – and it appears that Life Time Fitness is aware of this. According to Pioneer Press, the US gym chain has banned the device in 84 gyms across 19 states. The potential for taking a video camera into a gym has always been there – but iPods are a more common sight in gyms across the world. When it isn't clear if a person is selecting their work-out play list or filming you changing out of your Speedos then there clearly could be a problem. TechRadar has contacted Fitness First to see if UK gyms are likely to follow suit. We'd go and ask in person, but we're worried they make us put on trainers and actually do some exercise.